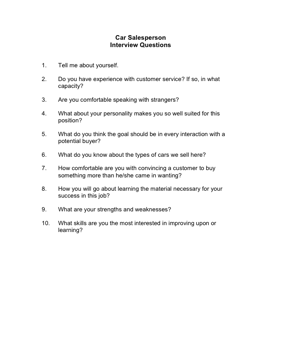 Choose your next Car Salesperson with the aid of these helpful interview questions. 5. What do you think the goal should be in every interaction with a potential buyer? 6. What do you know about the types of cars we sell here? 7. How comfortable are you with convincing a customer to buy something more than he/she came in wanting?